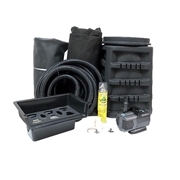 Pre-assembled kits with everything you need for any size disappearing waterfall. Creating your own disappearing waterfall is easy. Pondliner.com carries a variety of pond waterfall kit options in all different sizes. Whether you want to create a small, medium or large waterfall, we have the pond supplies for you. Click on any of the pre-assembled pondless waterfall kits to find the one that best meets your needs. Want to build an entire pond from scratch? 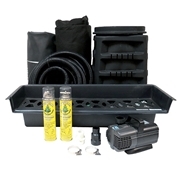 We also have pond kits that come with all the supplies you need for fast and easy pond construction. Check them out today!